Narrated by Barbara Feldon, this PBS special focuses on the discovery of the first dinosaur fossils. See how real scientists tried to piece the dinosaurs back together to learn more about their extinct species. An animated segment goes back in time to when dinosaurs roamed the earth, allowing a look at the way dinosaurs probably moved, behaved, and looked. This special features real scientists working in the field as they try to bring these long-lost creatures to life. The end shows the discovery of real dinosaur eggs in China. Dinosaurs! 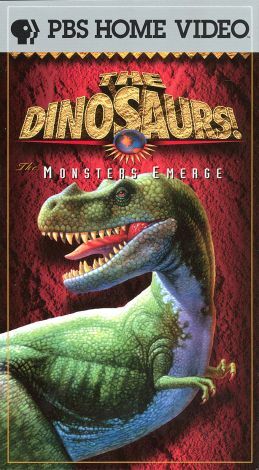 : Monsters Emerge is part of a PBS series about dinosaur discoveries.